There are some days when I’m really discouraged about our homeschool. I feel like we’ve not accomplished any of the goals we set for our family. On other days I know that I’ve allowed doubt to creep in. I’ve allowed myself to listen to Satan’s lies. But on those days when I feel like I’ve done nothing, there is one thing that I can remind myself. We are a family that loves exploring God’s creation. Yes, we may not always enjoy doing it the same way. And no, my children have not made beautifully illustrated nature journals. But we all like being outside. We all like learning about animals and plants, and we all believe in God who created them all. That’s something to celebrate. How have we accomplished this? We have taken all of our children on many hikes starting even before they could walk. Our child carrier backpack has gotten a lot of use! I’ve found something else to add to our collection of enticing nature materials. 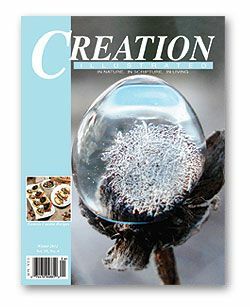 Creation Illustrated is a gorgeous quarterly magazine. The beautiful glossy cover of each issue has a photograph that begs people to pick it up. Inside are informative articles on a variety of nature topics. I received 4 issues to review. Contained in those issues are articles on Aspen, Saguaro National Park, hummingbirds, Yellowstone National Park, fragrance (in flowers and fruit), stars, insects, and more. Scripture is woven into each of the articles. 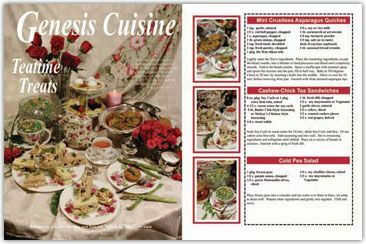 Another interesting feature of each issue is Genesis Cuisine. There are 3 recipes in each issue. They are all natural/healthy/vegetarian recipes and pertain to a particular theme. The themes in the 4 issues that I received are Cupcake Craze, Smooth Smoothies, Grapefruit Greats, and Hazelnuts. I have unfortunately not tried any of the recipes yet. They do often contain an ingredient or two that is somewhat unusual, or at least not a typical item that I purchase. For example, coconut milk is found in several of the recipes that sound appealing to me. Each issue also contains an Instructional Guide. The guide is “designed to help students of all ages integrate and embrace the practical spiritual lessons available through the study of God’s handiwork”. The guides include recommended devotional readings from each issue. There are also questions about the articles to encourage deeper study. Some of the issues also include a word search and creation activities . Do you have a budding photographer in the family? Creation Illustrated publishes photos submitted by young photographers ages 5 to 15. The top 3 entrees each quarter are awarded cash prizes. Along with each photo, the student submits a poem, Bible verse, or statement about what the photo says about God the Creator. 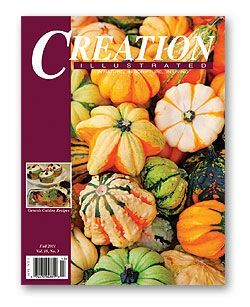 A yearly subscription to Creation Illustrated is available for $19.95, but there is a $5 discount if you pay with credit card. You can also request a free issue. Disclosure: I received 4 free issues of Creation Illustrated in order to write this review. I was not compensated for this review. All opinions expressed are my own. As homeschoolers we have the ability to take time out and go down rabbit trails with our children as they discover things that interest them. I want my children to find something they’re passionate about and hopefully be able to convert that into a career. And even if they aren’t able to use their passion in their career, they can still have hobbies and other interests that are exciting to them. I love to meet people who are passionate about any subject, because I’m always inspired to learn new things myself when I’m around them. Annie Crawley is one of those people. She is passionate about oceans and marine life, and she wants to share that passion with children. She especially wants children to love the sea because she believes that people will try to save what they love. There are many problems that the ocean is facing in the years ahead. When today’s children are adults maybe they will be able to find solutions. Annie specializes in underwater cinematography and uses that to make spectacular underwater views accessible to everyone in their own homes. 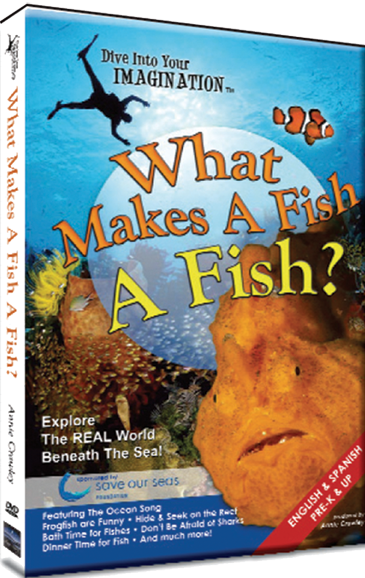 I received a copy of the What Makes a Fish a Fish? 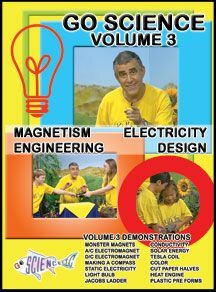 DVD and corresponding Educator Guides from Dive Into Your Imagination to review. What Makes a Fish a Fish? contains 8 different segments. The DVD is a high quality, professional video. The images are amazing!This sample will give you a good idea of types of things that you can see in the videos. The narration is gentle but not babyish. The facts are interesting, but not overly complex for younger children. Both my 5 year old daughter and 17 month old son enjoy watching the DVD. My 10 year old son likes it as well, but he does think he’s a little too old for it. 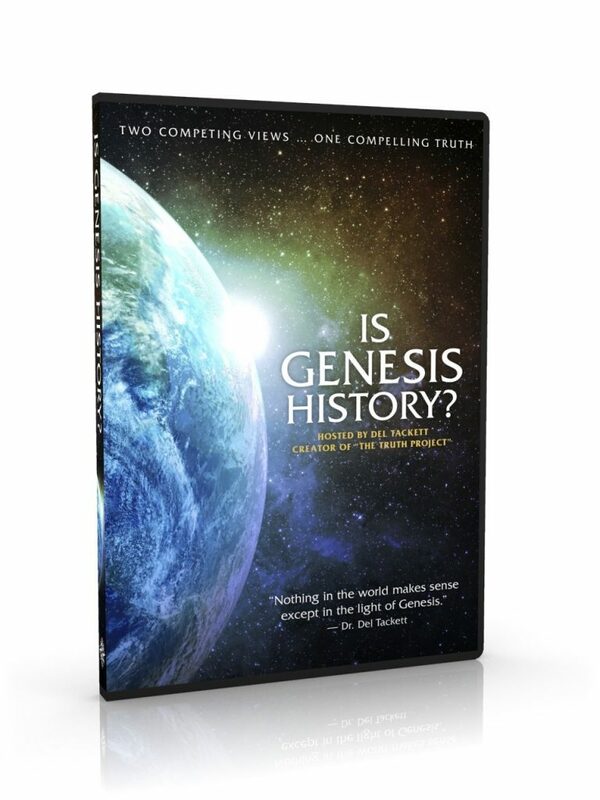 I was happy that there were not references to millions of years in these secular videos. (At least none that I noticed.) It did say that sharks have been around since before the dinosaurs, but I don’t have an argument with that since swimming creatures were created on the 5th day and land animals on the 6th. I confess I was not prepared for what I would find in the educator guides. I knew they were designed for classrooms, so I didn’t expect to find much useful for my family. I was pleasantly surprised. For one thing, these are huge files. There are 298 pages in the PK-K guide! 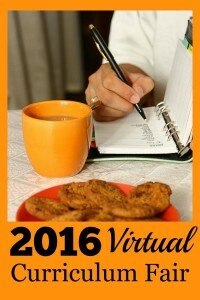 They are well organized with lessons designed for each of the 8 sections of the video. 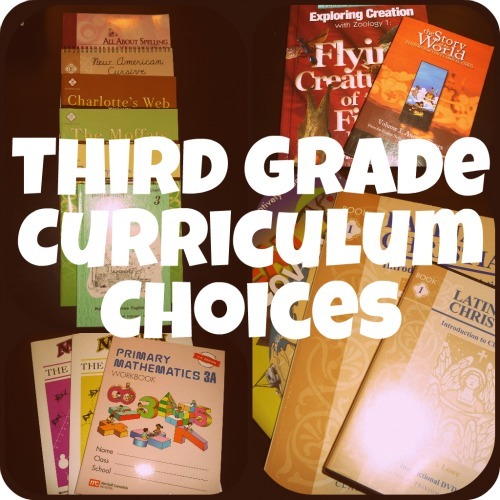 These include activities, printable pages, and extension ideas for additional research. Yes, there is some “teacher-speak” that I’m not used to. The formal lesson plans are different, but for the most part they are adaptable to a homeschool setting. Some activities like doing skits and making bulletin boards require more adaptation than others. But the printable pages from the educator guides could easily be used for notebooking or lapbooking assignments. I would recommend these DVDs to others, especially families with young children. You can purchase the DVD’s on the AnnieCrawley.com site for $19.95 each. She is offering free shipping on any order placed through the end of June. Also, if you add a comment in the notes that you are a homeschool parent, she will give you a download of the pdf for FREE! This is a tremendous value because they will be $69 when they become available on the site. The printed educator guide are $299! That is not something that a homeschooler can likely take advantage of, so if you’d like the guides, I highly recommend ordering soon. 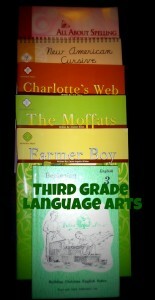 Be sure to visit HomeschoolCrew.com to read more reviews of Dive into Your Imagination. Disclosure: I received a DVD and corresponding educators guides for free in order to write this review. I was not compensated for this review. All opinions expressed are my own. Chemistry is one of those subjects that people seem to either love or hate. And I think most people hate it. I say this because my husband is a chemistry teacher, and after he meets someone and tells them he teaches chemistry, over 75% of them say “Yuck, I hated Chemistry.” OK, so maybe not those exact words, and no, I haven’t actually recorded the data.When I opened my package from Pandia Press to find that I had received R.E.A.L. Science Chemistry (level one) to review, I was very excited. Even though they say that opposites attract, in our home, my chemistry loving husband married a chemistry loving chemical engineer. For My Notebook Pages – These page are to be read either aloud by the teacher or by the student himself. These present the new material and vocabulary. Lab Sheets – These are the sheets that the students complete as they are performing the labs. The Instructor Pages – These pages contain the supply lists and detail the laboratory procedures. Poem Pages and Crossword Puzzles – One of these is included per unit for reinforcement of vocabulary and concepts. This program is very clearly laid out, and the explanations make the chemistry concepts understandable. It is FULL of labs, which is absolutely essential for a chemistry program. Also, the labs use household materials with a master list of all the supplies conveniently placed at the beginning of the book. The labs emphasize the scientific method in a meaningful way. I have seen some science programs where the scientific method seems “tacked on” to an otherwise fun activity. The course also contains other hands-on activities like making element models from marshmallows and making an element book. You won’t like this book if you don’t want to do hands-on-activities. They are time consuming, but an absolutely essential part of this program. If you’re looking for a book to read about chemistry for younger students, this is not a good choice. You might not like this book if you don’t want to do any lapbooking type activities. These types of activities do not make up the majority of the activities, but you would be skipping too much of the text if you left them out. You won’t like this book if you’re looking for a Christian chemistry text. We are a Christian family, and we do tend to use Christian science texts. However, I think that chemistry is the easiest science for a Christian to use a secular text, because it doesn’t involve discussions of the origin of the earth or the origin of life, like geology and biology do. I am planning on going back to our regular science to finish this year, BUT will come back to R.E.A.L. Science Chemistry next year for my older daughter and younger son. I would recommend this program to people who don’t fall into the categories I mentioned above. If everyone had such a fun, early chemistry experience, maybe there wouldn’t be so many chemistry hating people in the world! You can order R.E.A.L. Science in an e-book format directly from Pandia Press. They list the advantages of an e-book on their website. One of the advantages is a lower price. This text is only $47.99 in the electronic format, plus you don’t pay shipping. But honestly, for a book this size, I would recommend a paper copy. You will need to be printing almost every page anyway, so unless you’ve got a VERY low cost way to print (the book is 431 pages! ), you won’t be saving any money buying the e-book. Plus, you are permitted to make copies of the pages for your own family’s use, so you don’t have to worry about buying extra student pages. (That’s assuming you have an easy and inexpensive way to make copies.) There is a list on the Pandia Press website with links to suppliers that sell the printed copies. The price varies, but I did notice that Rainbow Resource currently sells R.E.A.L. Science curriculum for $38.50 for either loose leaf or the bound format. 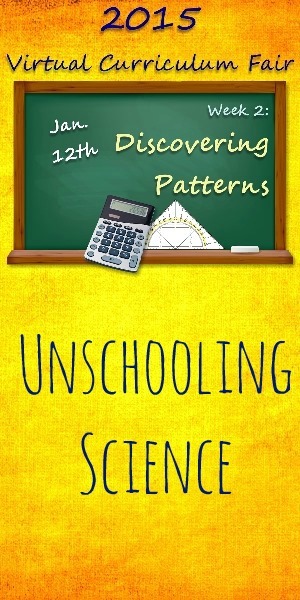 Apologia publishes a full-range of science texts for the Christian homeschool. 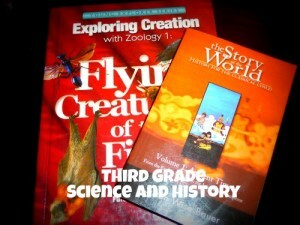 They began with high school science texts which have been very popular with homeschoolers for many years. More recently, Apologia began publishing elementary texts. Currently, the Apologia Elementary science series includes five titles: Astronomy, Botany, Flying Creatures, Swimming Creatures, and Land Creatures. These texts follow the immersion principle of learning. Rather than study a wide-variety of unrelated science topics during the course of a school year, these texts dig deeply into one science topic. Our family already had several of the Apologia Elementary Science books and have been using them as our main science curriculum for the last several years. 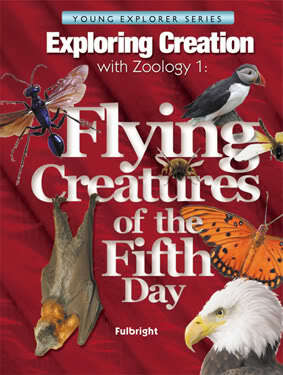 I was very excited to receive Flying Creatures of the Fifth Day to review. I knew it would be a keeper, and I was not disappointed. So, there are actually more lessons about insects than birds! Don’t be fooled into thinking that with only 14 lessons this won’t last a whole year. These are not short lessons. They each include 15-20 pages of text (I read these aloud). In addition, all the lessons include at least one notebook assignment and either an experiment or project. Many lessons have both a project and an experiment. I like that the author has clearly separated projects and activities from experiments. In the experiments, the scientific method is emphasized including discussions of variables, controls, hypotheses, data collection, and drawing conclusions. So although the book could easily be read in less than a school year, completing all the included notebook pages, projects and experiments will extend this text to easily encompass a year’s study. I love that this one text can be used with all my students. I can customize the notebook assignments to fit their abilities. (Some of the notebook assignments have two options: one for older students and one for younger.) My first grader loves to sit and look at the pictures. He doesn’t participate in very many of the activities, but he is still learning with us. Many first graders could easily participate more than mine does. My daughter who is in 3rd grade now, completed the astronomy book when she was in kindergarten. She completed the notebook assignments and still remembers much of what we studied. I say this as a reminder that this text is easily adapted to the needs of families with widely varying ages and abilities of children. So why would anyone not like Apologia Elementary Science? You will not like this text if you do not want to include any of the Bible in your science lessons. These texts are unapologetically (pardon the pun) Christian. The author believes in creation and presents evidence that supports creation in the text. It does not give equal time to evolutionary theory believing that is better left to science geared to older students. Of course, most any animal book checked out of the library contains references to evolution, so this book helps provide a balance with its absence of evolutionary content. You might not like this text if you want a more traditional approach to science including worksheets, tests and quizzes. The reinforcement of material in these texts is through talking about the text and creating notebook pages. The writing style is also different than most science books. These books are written like the author is talking directly to you. I don’t mean vernacular speech, but it contains questions that are somewhat rhetorical. It also goes into great detail. Additionally, if you want to study many different topics in one school year, these texts would not be a good fit. As I’ve said, my family thoroughly enjoys these texts. We are looking forward to learning more about birds, bats, flying reptiles, and insects. 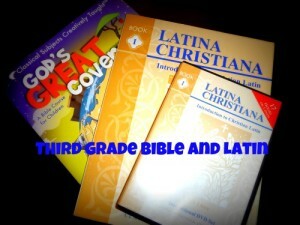 If you are interested in purchasing this book or any of the other Apologia Elementary Science books, they are available from many vendors of homeschool products including ChristianBook.com. 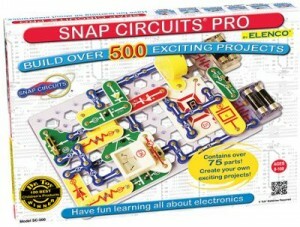 Disclosure: I received this product as a member of the Schoolhouse Review Crew. All opinions expressed are my own. This post contains an affiliate link. We completed our Heat and Energy lapbook last week. 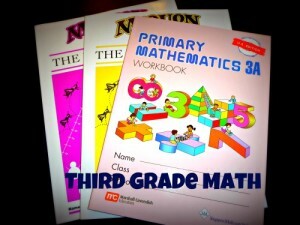 This was the first lapbook that really made sense to me. I have liked the idea of lapbooking since I heard of it about a year ago, but most of the ones we have done seemed somewhat awkward to me. I guess I’m not really a unit study person. I can’t wrap my brain around a true unit study. Most of the pre-made lapbooks have seemed to me (and my kids) that we were learning things to make the lapbook. Unfortunately, that is a general tendency that I have seen in myself as a teacher (and a person for that matter.) I struggle with doing things just to get them done. Here are the titles of the minit books. What is Conduction? Convection? Radiation? Here are some pictures from my son’s lapbook. He took the pictures himself so they’re a little bit blurry. The back of the folder showing the Electromagnetic Spectrum and a diagram of a wave.